Tea Is For Turtle: Do Tortoises Dream of Electric Sheep? Do Tortoises Dream of Electric Sheep? Sitting on the grass in the fading sunlight, Turtle heard the rattle of the sheep tumbling over the hills in the distance. Once before Turtle had been infected with their contagious whimsy and had joined in with all the bouncing, jumping and frolicking, only to find that tortoises were not made for the spritely acrobatics of electric sheep. Just as well really since all that wire wool interfered with Turtle's mobile phone signal anyway. 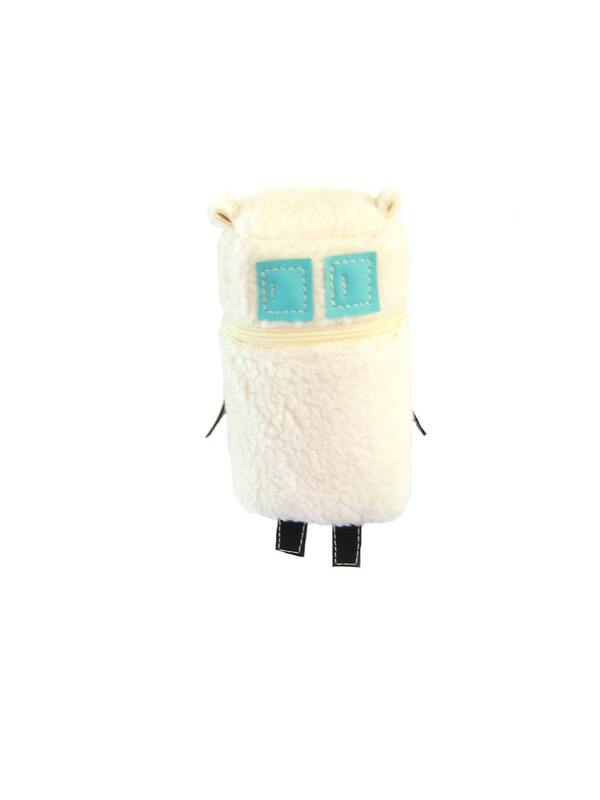 Sheep Robot Pouch by Anatomy of a Skirt. In finding this super sheep robot, Turtle also found Robot a Day, frankly it's genius. Go look.